← The Leeds-Manchester-Sheffield arena wars – who’s winning? More bad news for the leadership of Leeds Metropolitan University as it presses on with changing the name of the institution. Members of the students’ union voted overwhelmingly last month against changing the name from Leeds Met to Leeds Beckett. Now lecturers have added their voice of protest. 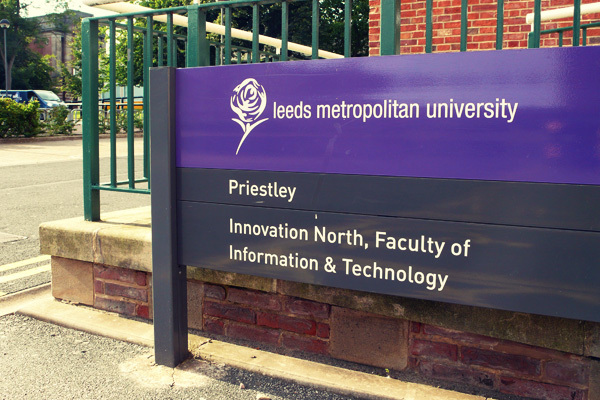 Nearly 93% of members of the University and College Union (UCU) who participated in an online poll last week backed a motion saying: “This branch has no confidence in the decision to change the name of Leeds Metropolitan University to Leeds Beckett University”. Turn-out was high, with 67% of the approximately 650 members of the union at the university joining in. It’s unthinkable that the university’s governing body will change its mind at this late stage. The £250k process of implementation – all the branding, signage and changes to Leeds Met’s (and its partners’) online and offline publications – will be well advanced by now. Following the student vote, University vice-chancellor Professor Susan Price confirmed that the name change would be going ahead on 22nd September, according to a report in The Independent. It will be going ahead, but with no indication that it has the support of either staff or students. It’s a weird one, this leadership thing, isn’t it? This entry was posted in Uncategorized and tagged leeds, leeds beckett, leeds met student union, leeds metropolitan university, university and college union. Bookmark the permalink. Student politics always was a waste of time. You rarely get to make a decision on anything that makes any difference, and when you do it doesn’t make any difference.